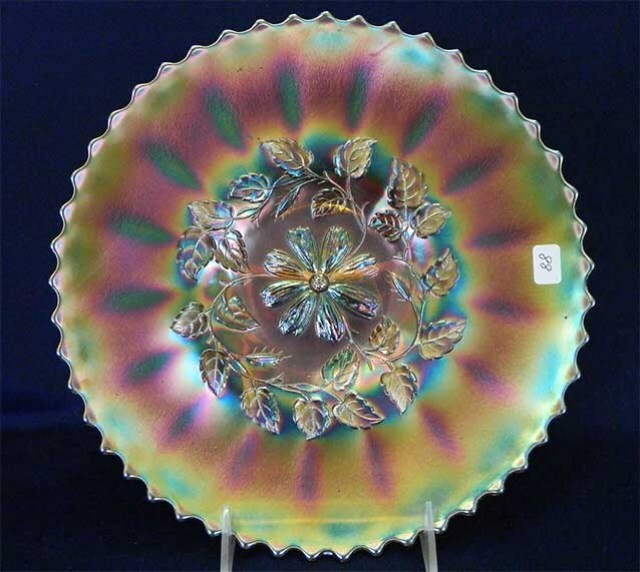 Not sure why this is called a Variant as it is not related to any other Cosmos pattern. 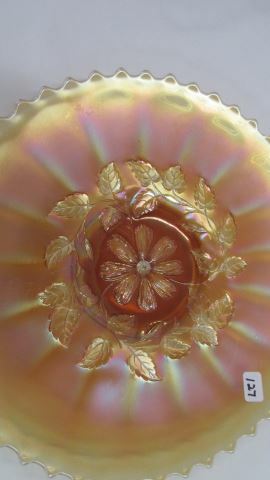 This pattern has the flower in the middle with a wreath of leaves around it. 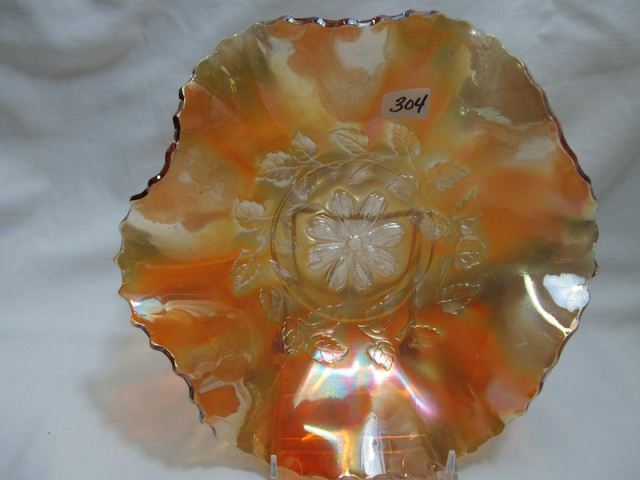 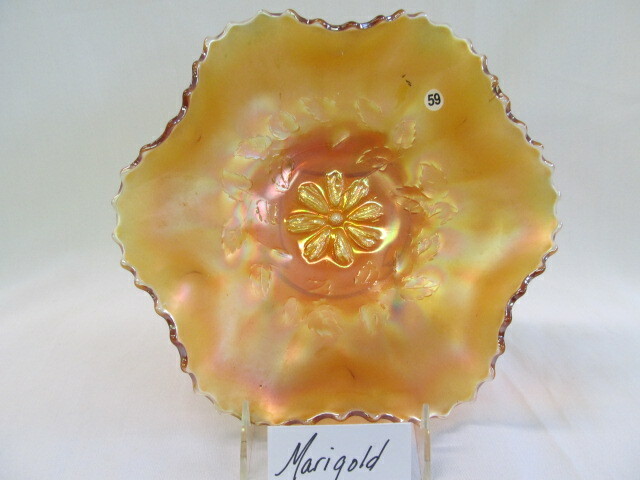 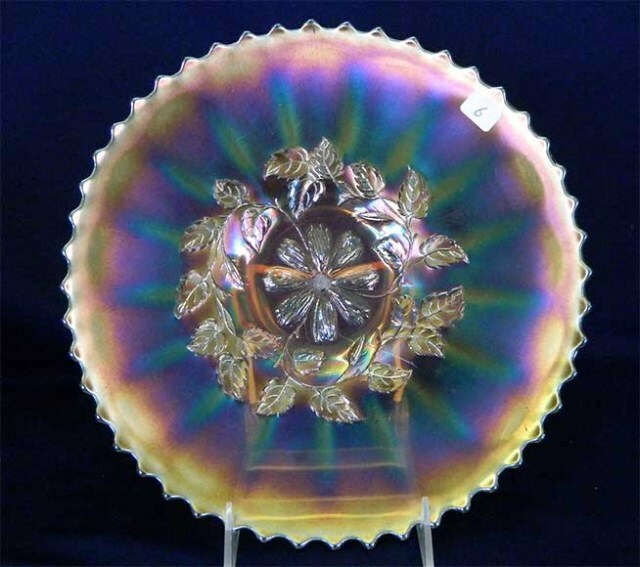 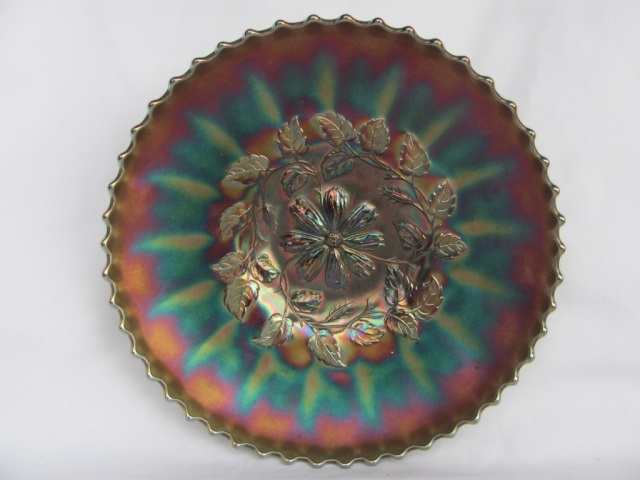 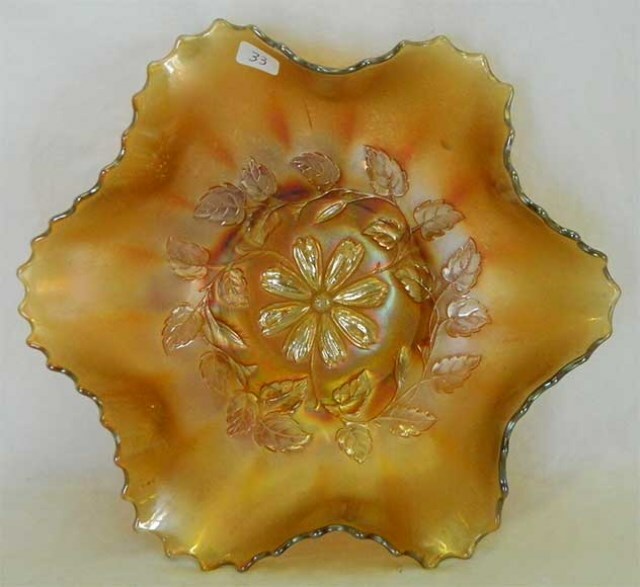 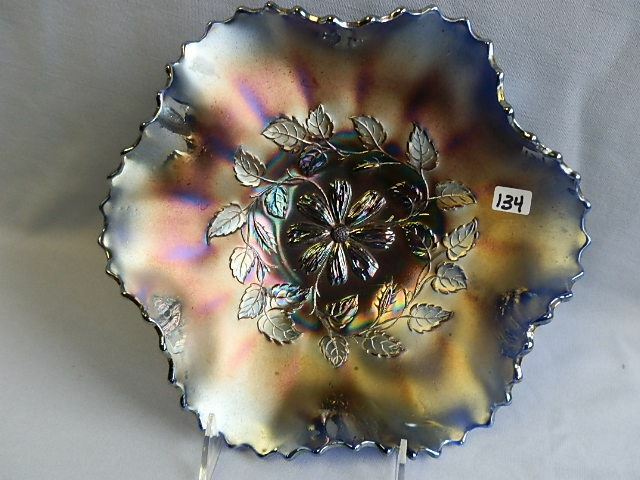 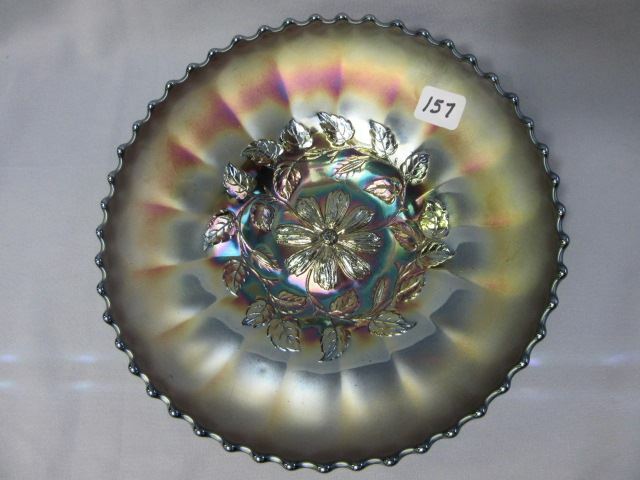 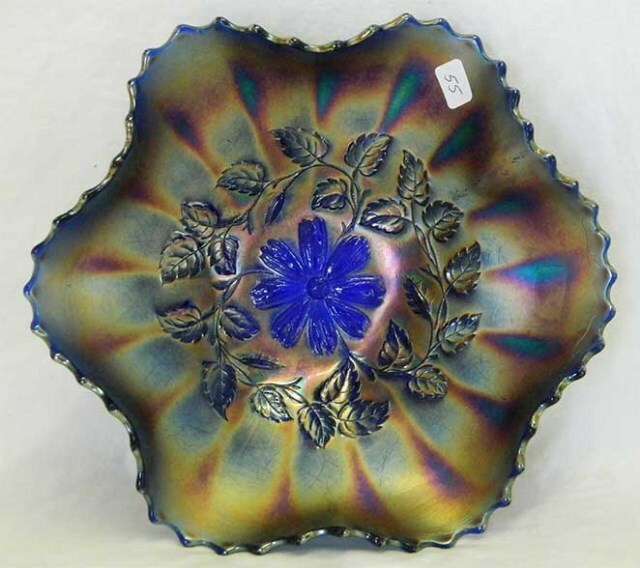 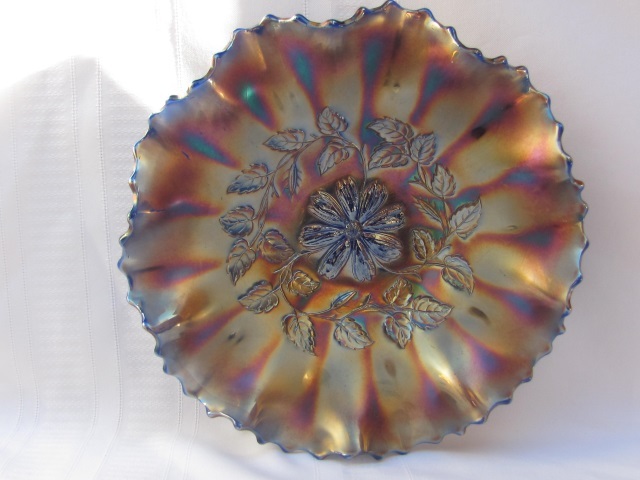 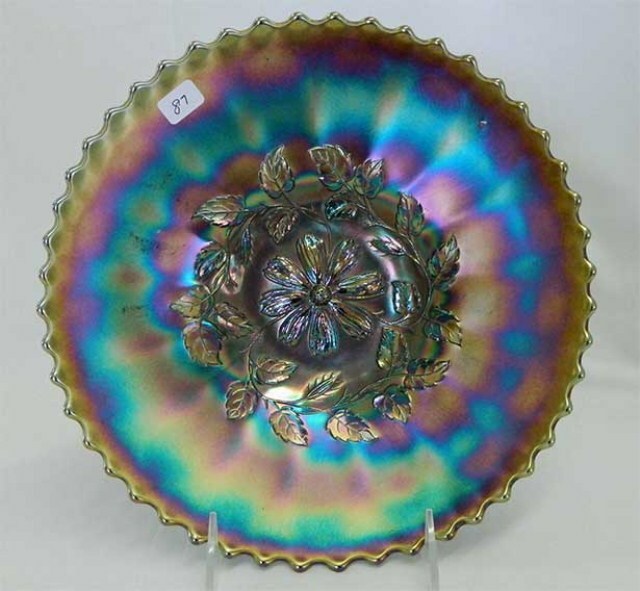 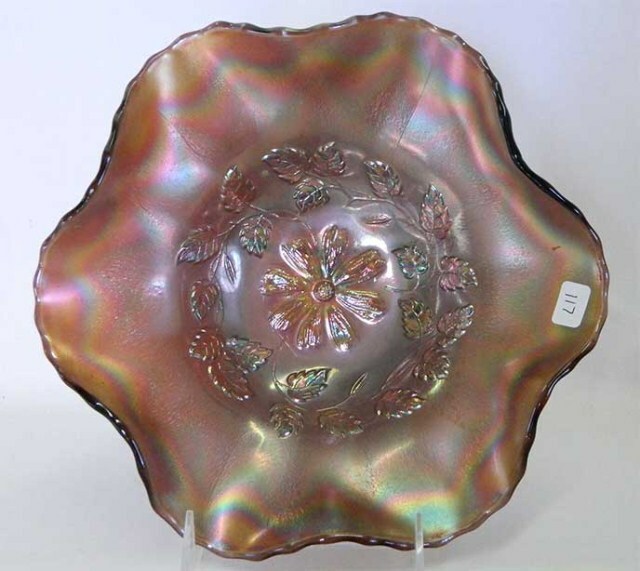 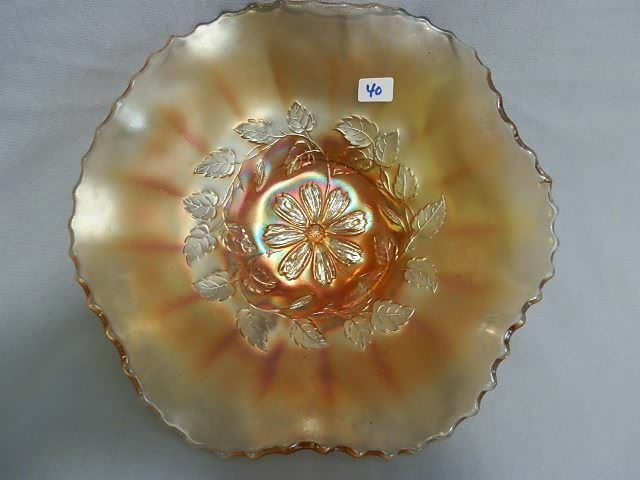 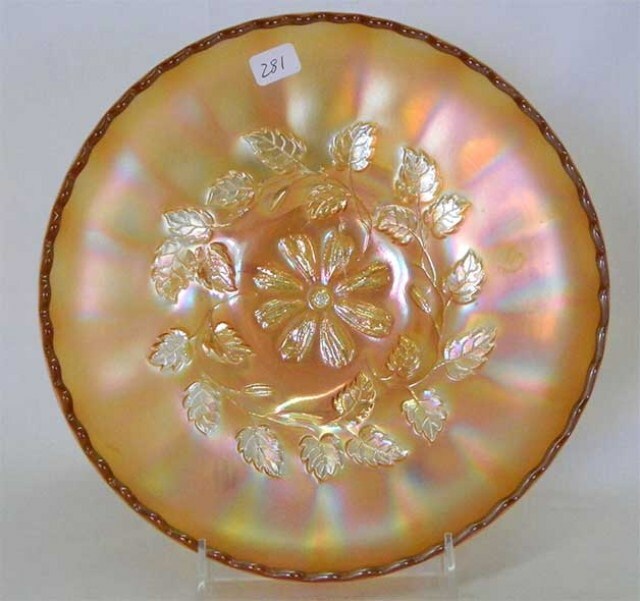 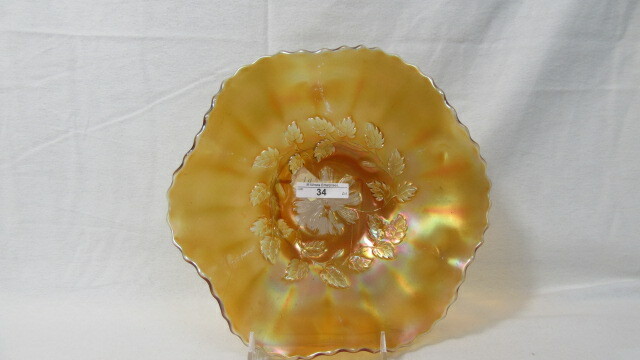 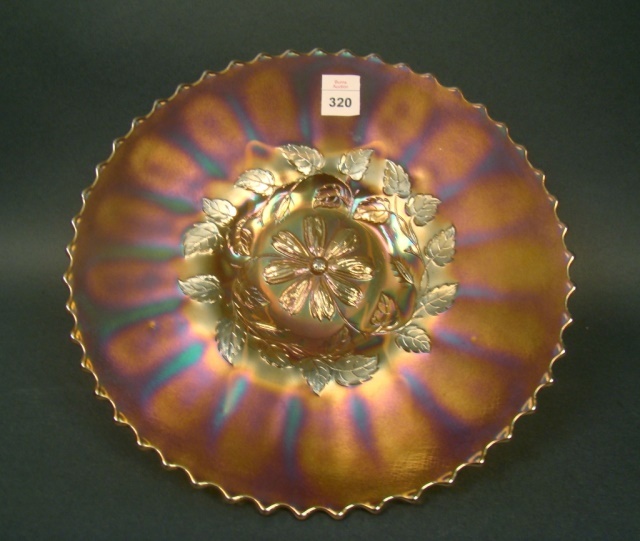 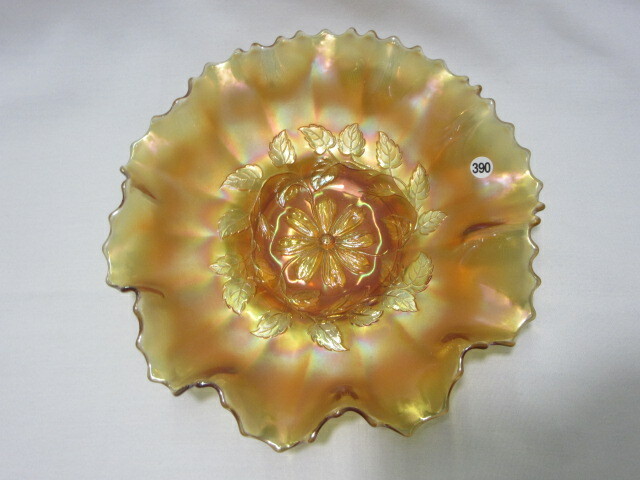 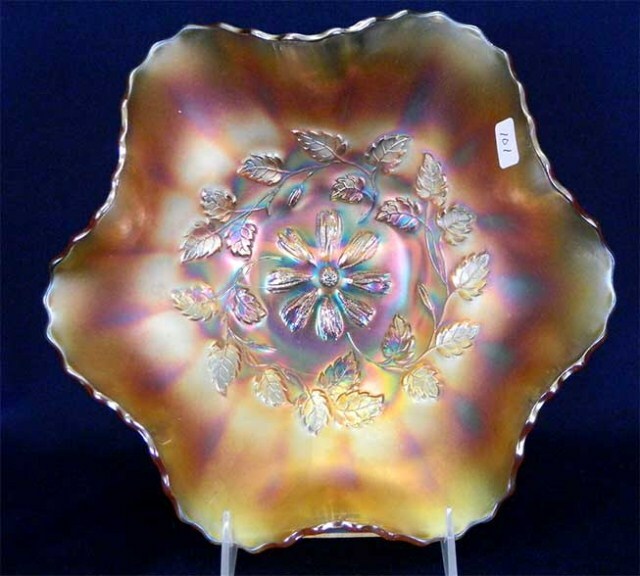 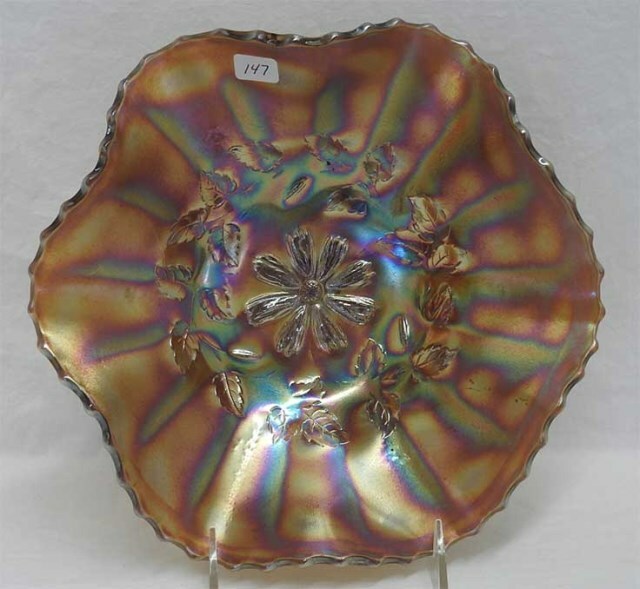 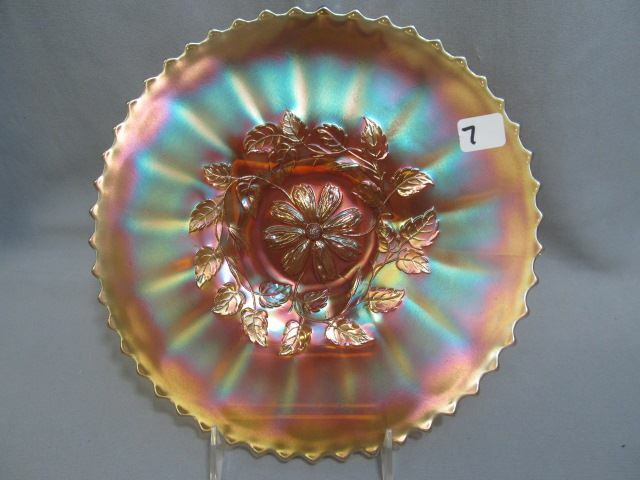 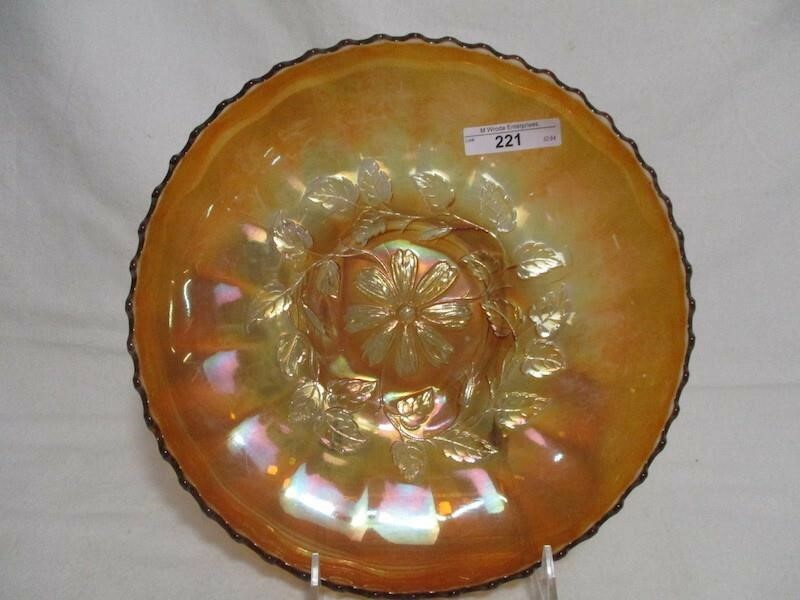 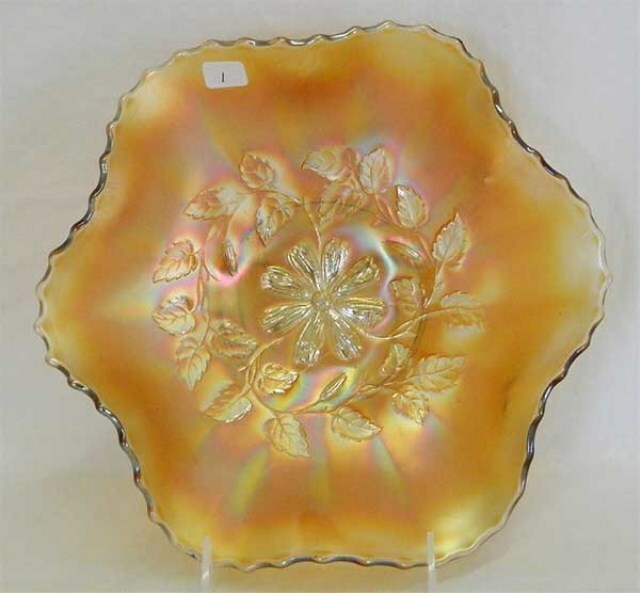 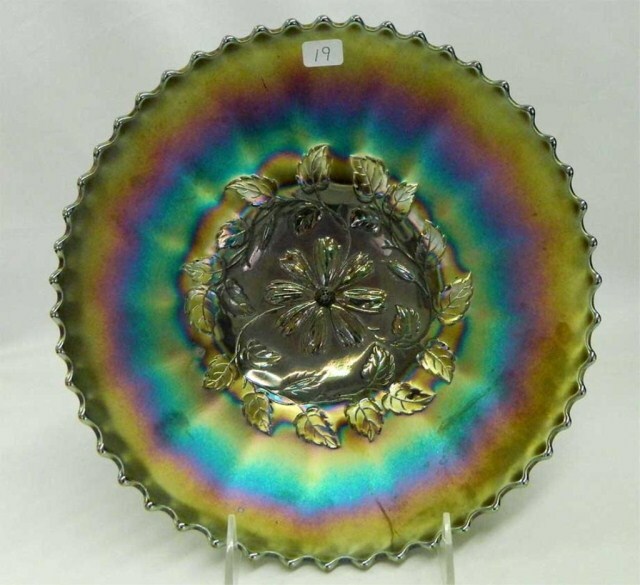 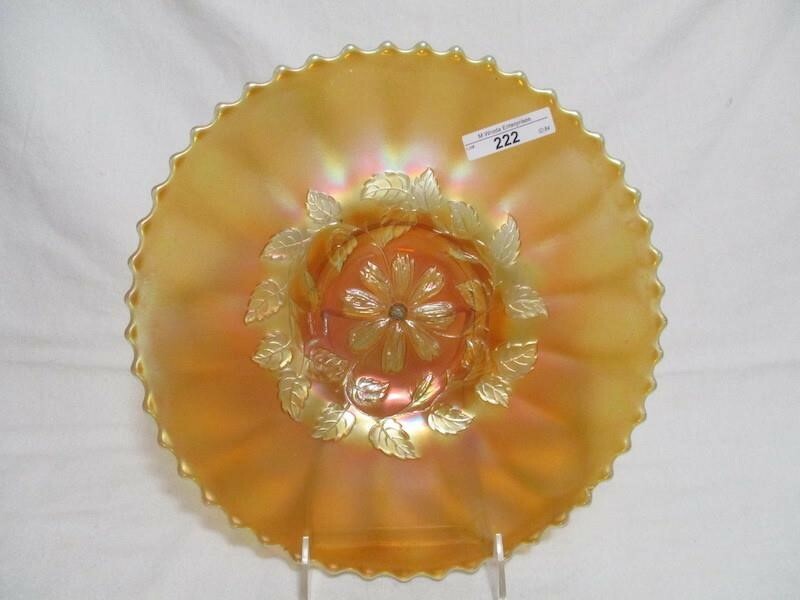 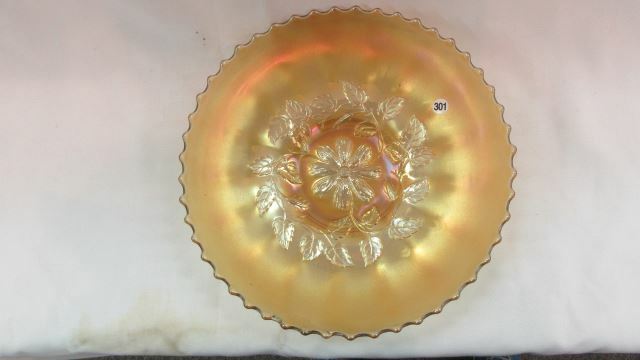 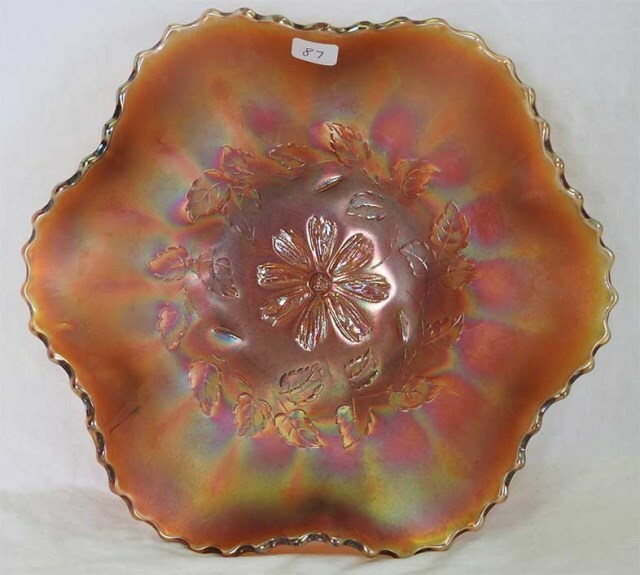 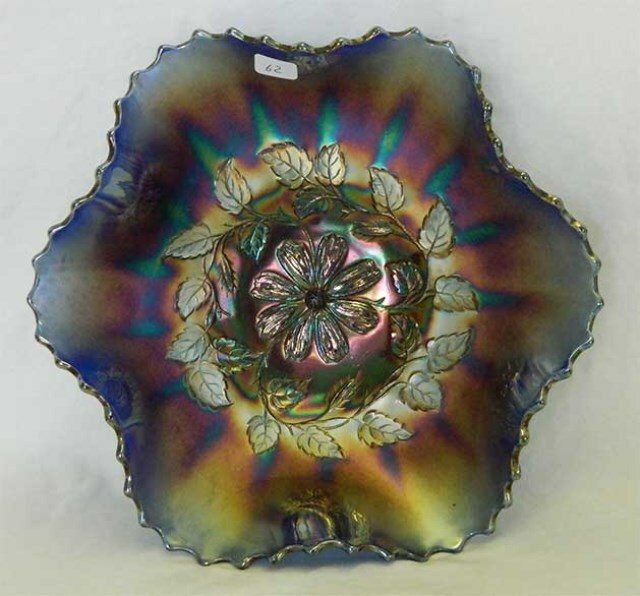 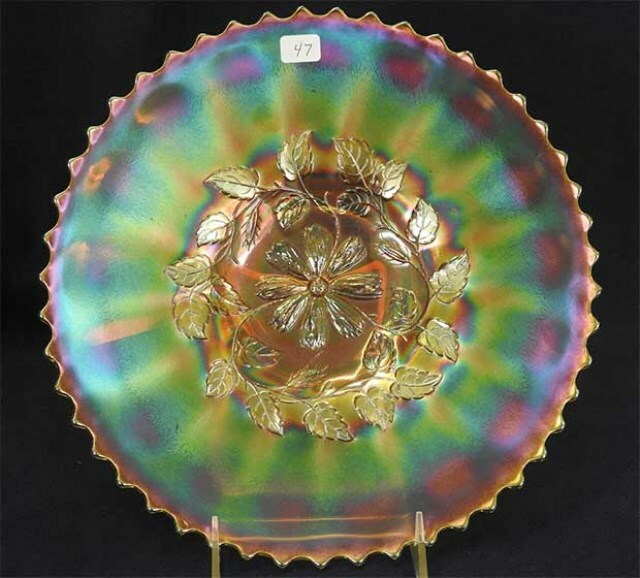 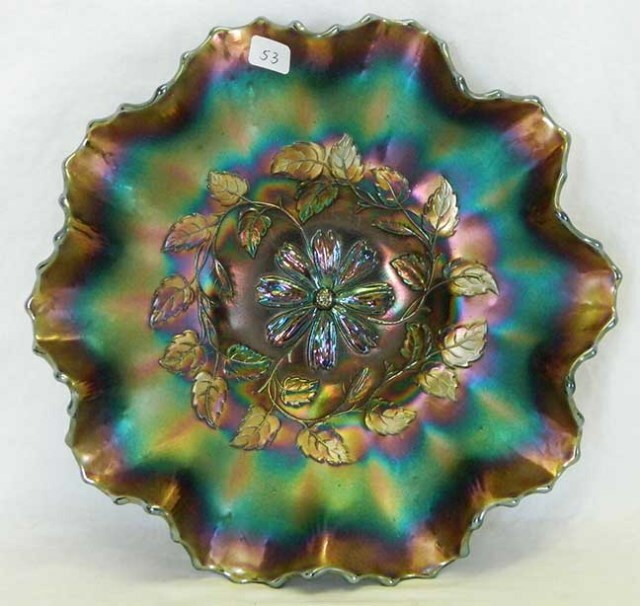 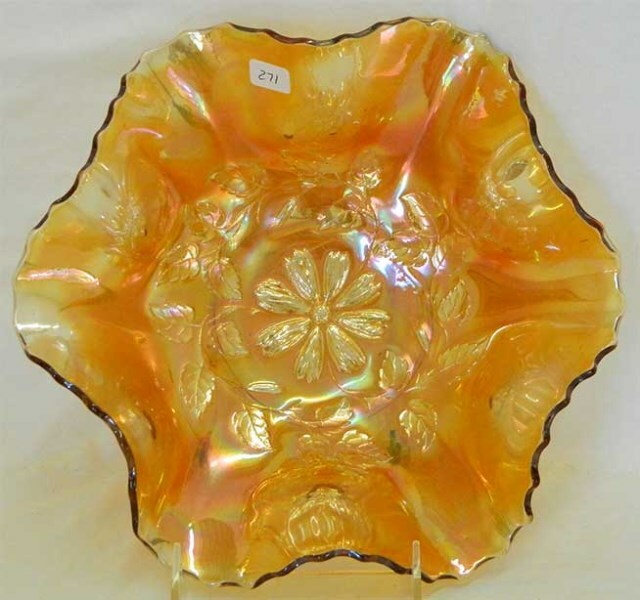 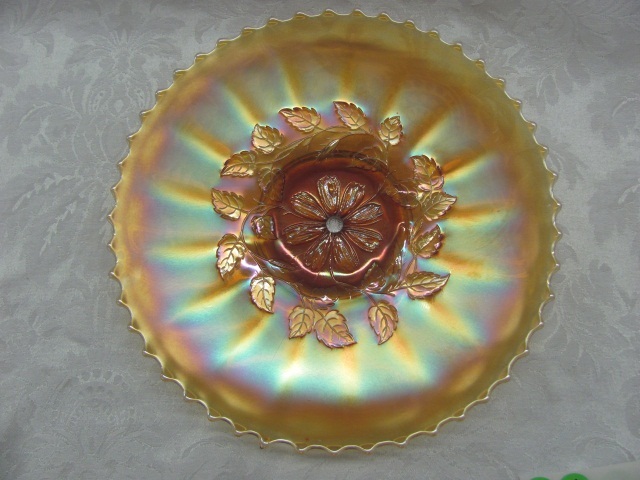 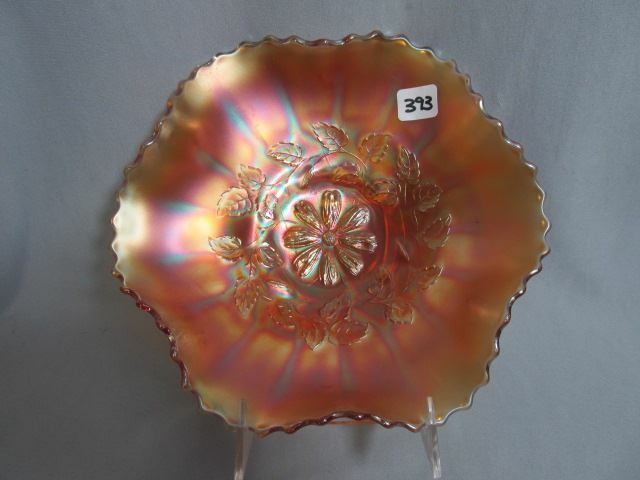 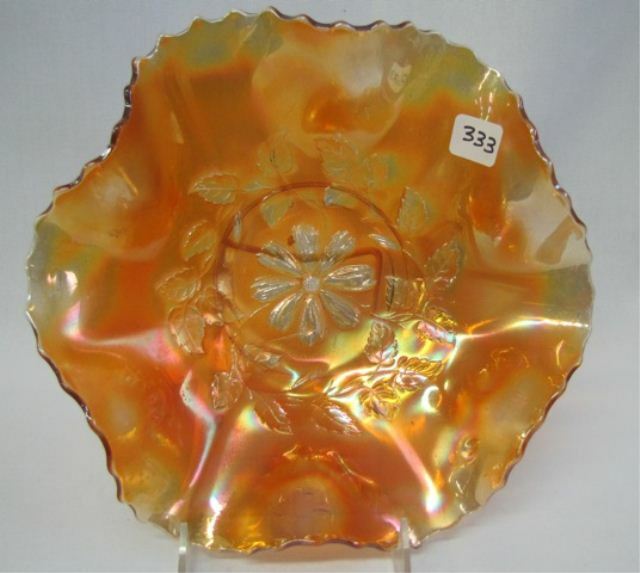 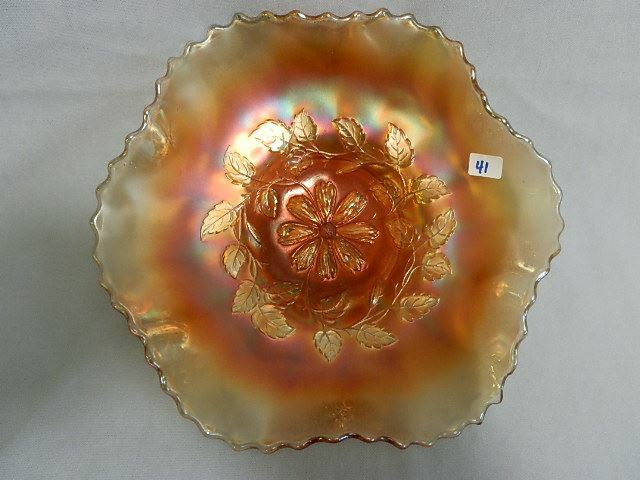 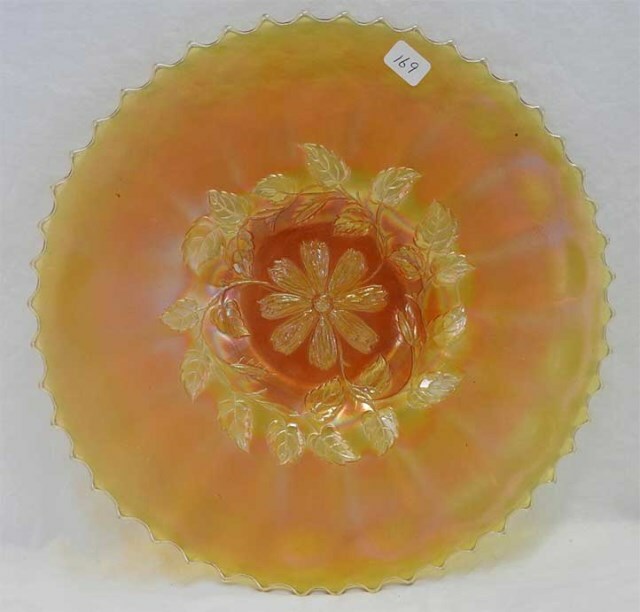 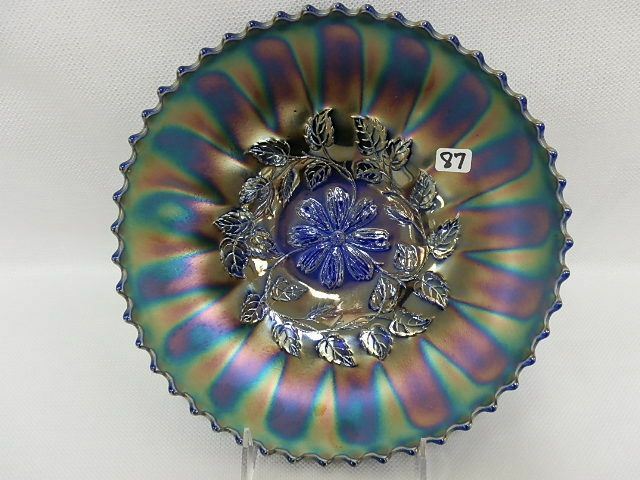 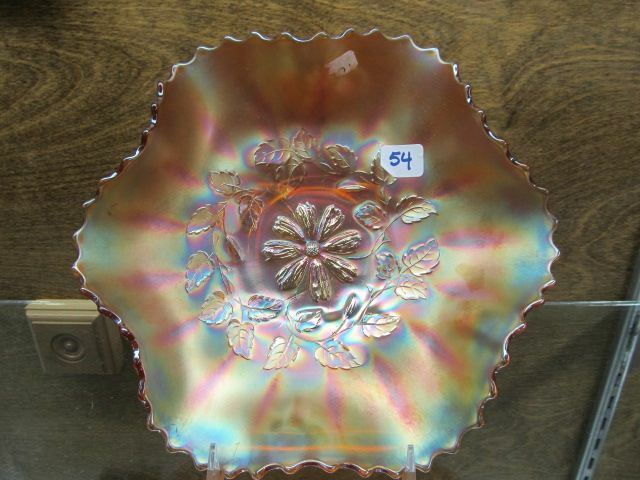 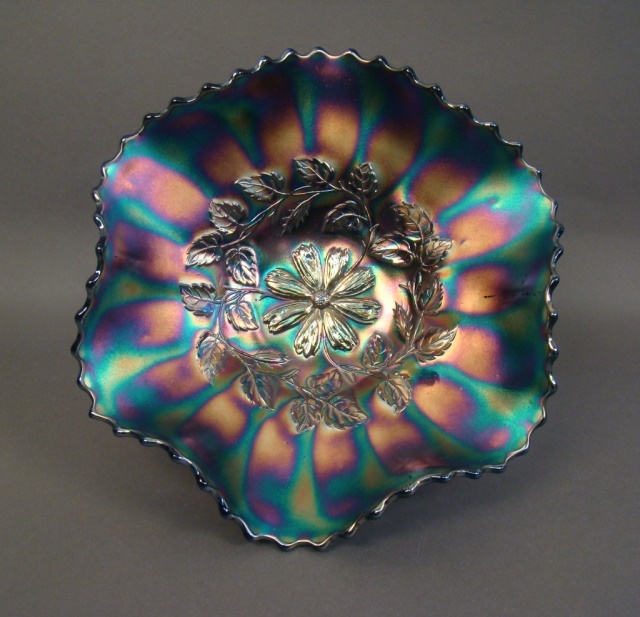 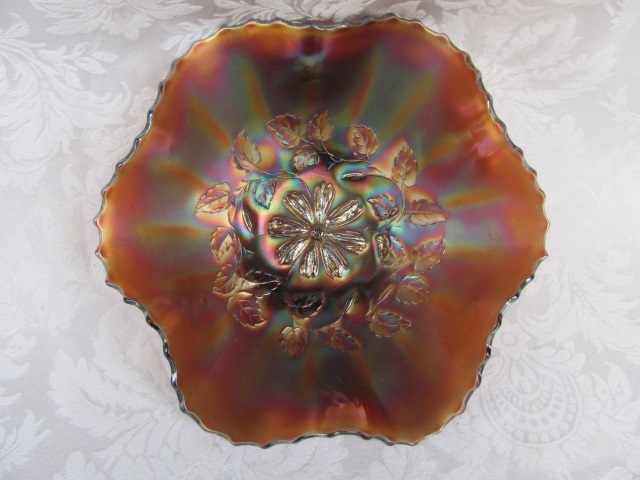 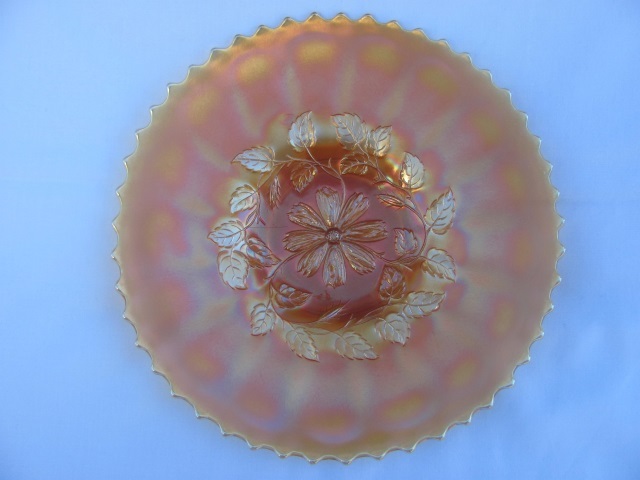 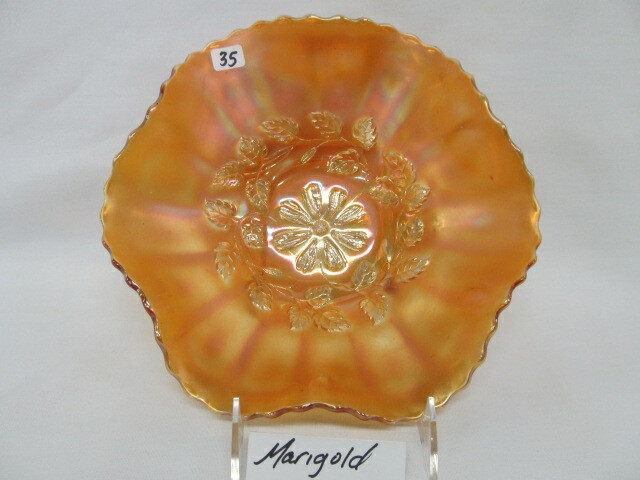 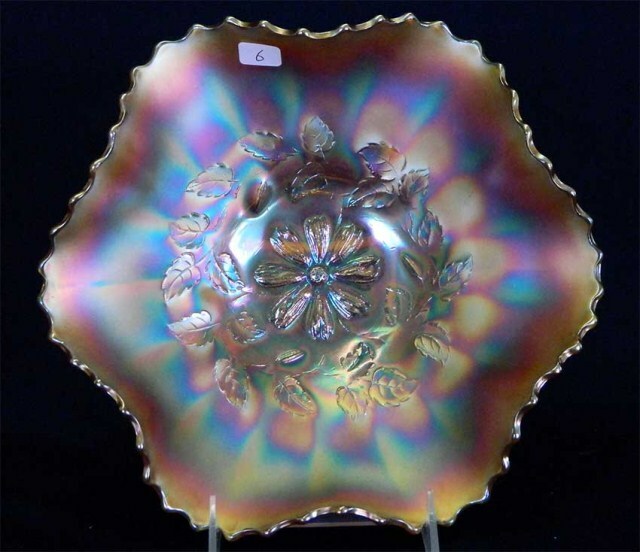 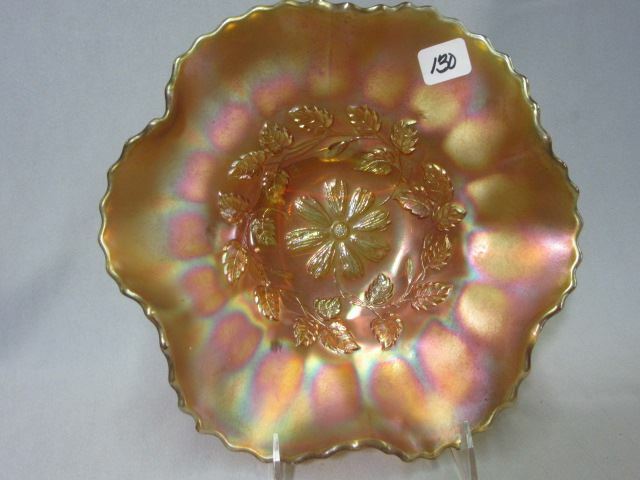 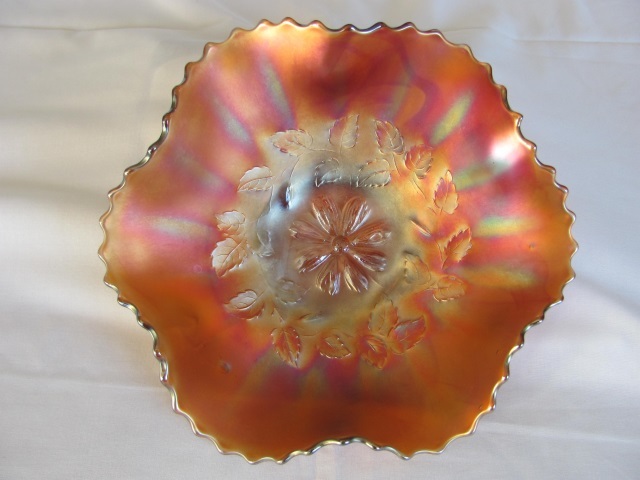 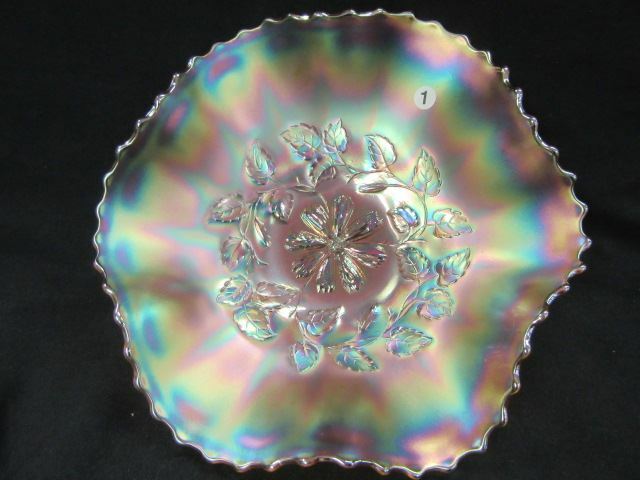 Unlike the Millersburg Cosmos pattern, which is found only in green bowls 6 to 7 inches across, this one is found mostly in 10 inch bowls and occasional chop plates flattened from the bowls. 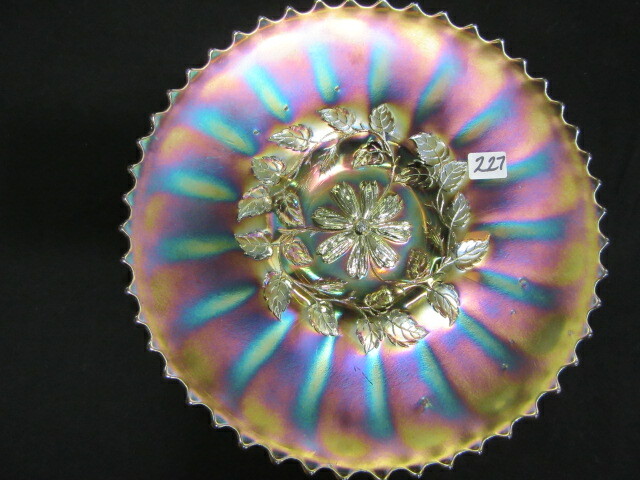 On the right is a smaller bowl that is the Cosmos Variant Variant. 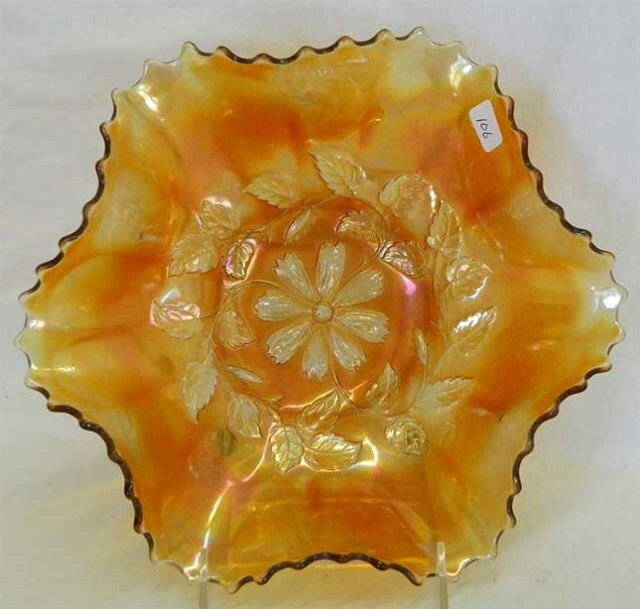 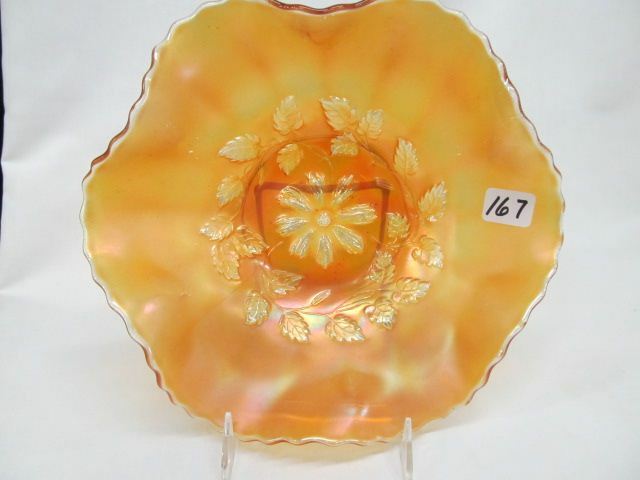 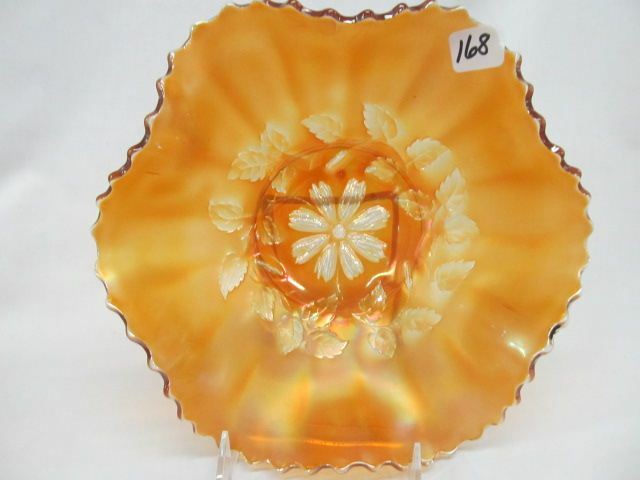 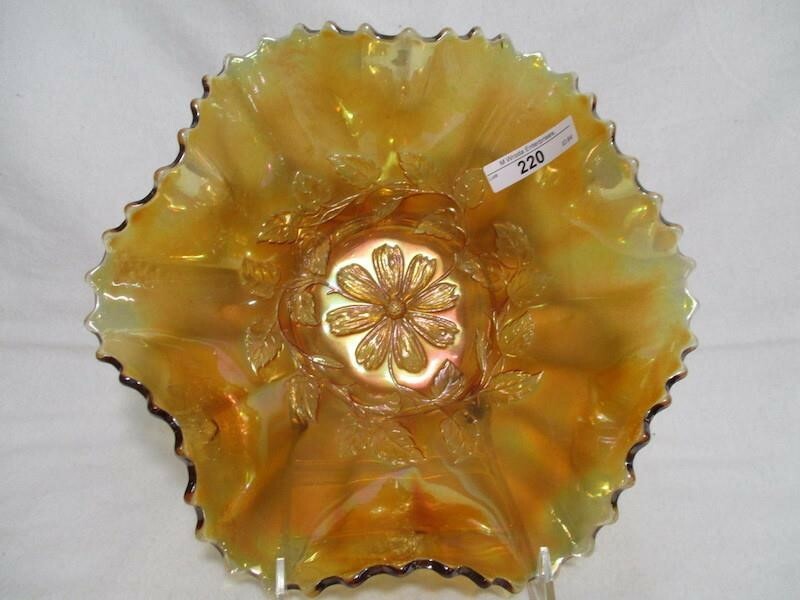 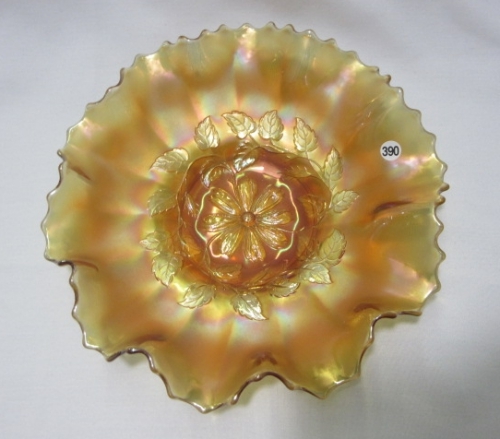 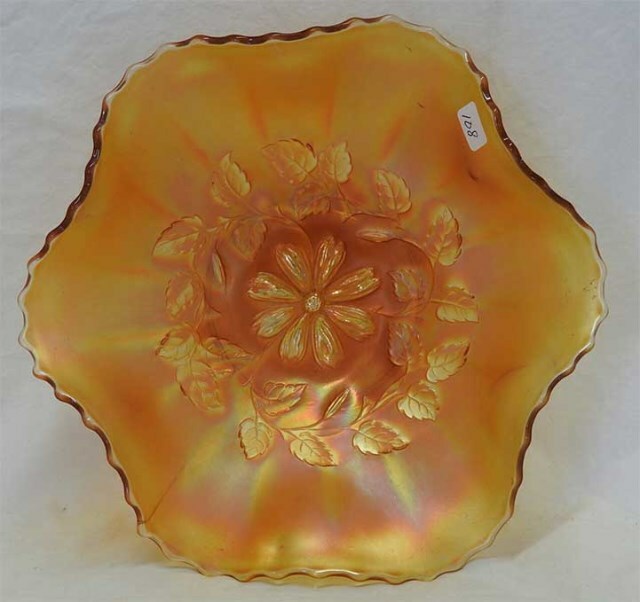 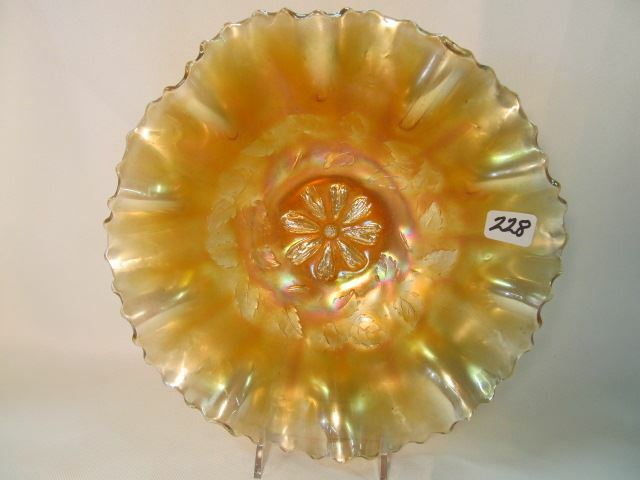 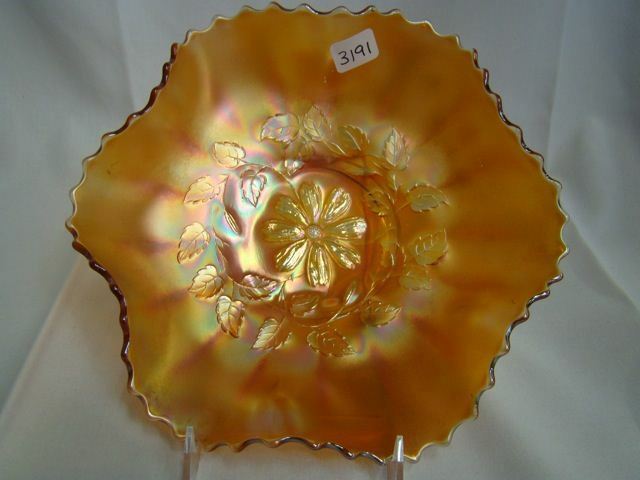 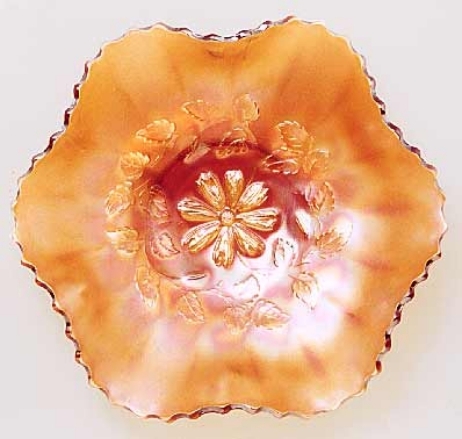 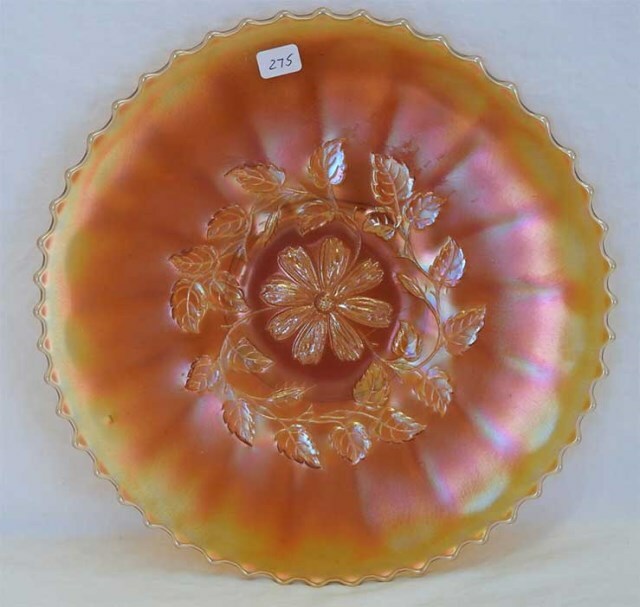 It has much better detail on the leaves and the petals of the flower, and is NOT the same pattern as the regular Variant, they are generally only about 8-8 1/2″ wide.